How to describe a safari leather? 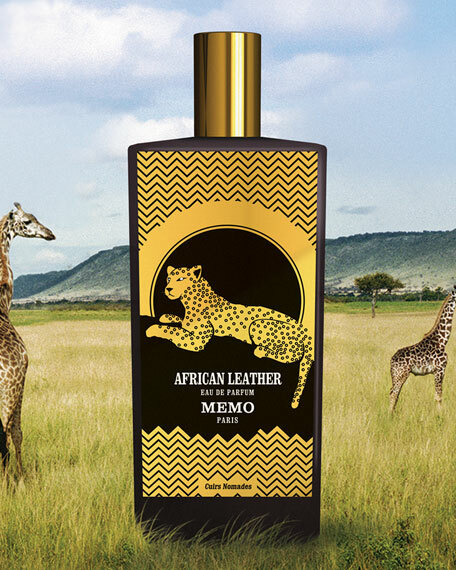 Elephant trunk, cardamom, giraffe neck, bergamot, wild cat, sand, leopard spots, saffron, rhinoceros horn, cumin, lion mane, patchouli, gazelle hoof, geranium, nocturnal bushbabies, celestial sphere, bat-eared fox, grapefruit, snake skin, oud accord, eagle eye, vetiver, buffalo neck, musk, green monitor lizards, moss, blue wildebeest, winter sun, zebra stripes, leather accord, cheetah paws, cedar, antelopes racing, savannah, meerkat smiles, spices, crocodile tooth and heat. Oil of bergamot, Oil of Cardamom, Oil of saffron, Oil of cumin, Geranium absolute, Oil of patchouli, Oud accord, Leather accord, Essence of vetiver and musk. 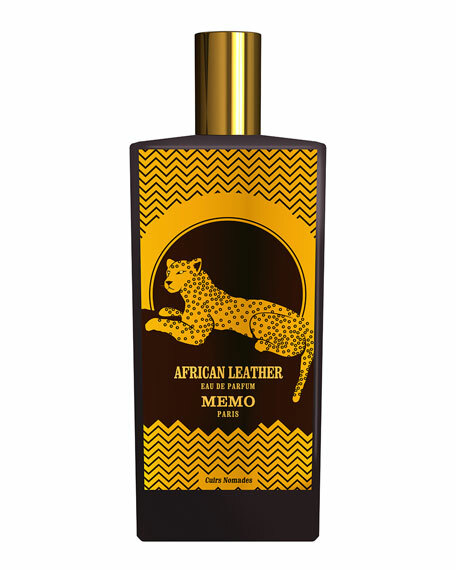 Fragrance note: MEMO Paris uses MD distillation for the geranium in African Leather - a molecular. distillation process that is especially pure.